Change the gain/drive of your Gilmore Jr for a British flavor! 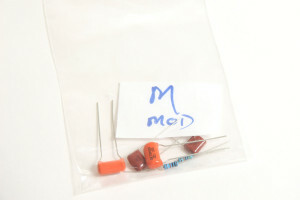 The ‘M’ mod includes components and instructions to easily convert from the stock build. Click Here to purchase the Gain (M) Mod for the Gilmore Jr!